We are musicians, music bloggers, folks of the music industry, studio professionals and music afficionados who all have one thing in common; we connect to each other through music in more ways than one could possibly imagine. With Musicngear we set out to discover the hidden connections between our favorite music and ordinary everyday stuff. Our mission is to uncover the new world of funny, odd, interesting relations our life has with music that would otherwise go unnoticed. Why do it? Because by understanding why we love something makes us more deeply connected to it, and for the things we end up buying, more conscious, more responsible, more engaged consumers. On the flipside, it helps us form a stronger and lasting bond with our favorite music, giving us a more profound sense of belonging to a community of like-minded people. Musicngear examines how music preferences affect buying behavior; what kind of products fans of a music genre prefer, which brands they are more versed towards, how much each music preference makes people spend. At its core lies a sophisticated recommendation engine trained by the myriads of daily users actively seeking help to decide what products are good for them. Ever since its launch in 2012 and the introduction of the Goodforme Test in 2013, Musicngear has helped more than 4 million people make that decision, hence building a deeply extensive and constantly up-to-date database of correlations between brands, product categories, specific products, music genres and artists thoroughly broken down into demographic attributes. This inordinate amount of valueable consumer information cross-polinated with music intelligence has been a great asset to brands wishing to tap on a new market, launch a new product or engage more deeply with their existing customer base. Musicngear was founded in 2012 as a community to connect fans of each music genre. It achieved instant net profit by integrating an extensive database of music related products obtained through partnerships with music brands, that was deeply ingrained into the website’s workflow. After a year of steady growth, the Goodforme Test was introduced, a new feature that propelled the popularity and value of the website among consumers of music gear. The team of 2 was further expanded with the launch of the Musicngear Blog in 2017, a place for music news and an incubator for artists and ideas, establishing Musicngear as the go-to place for thousands of musicians, music professionals and music afficionados wishing to connect and grow their passion for music. 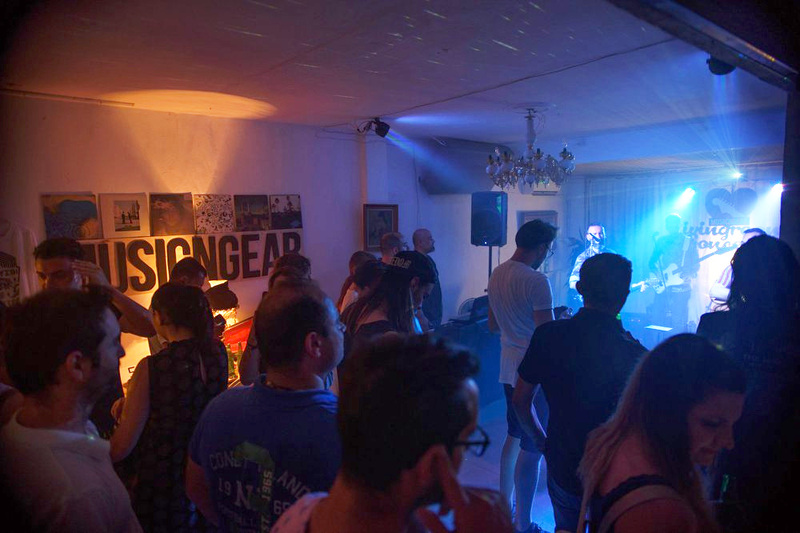 In 2018, the Musicngear team launched the Livingroom Concerts, Open Rehearsals and Office Concerts initiatives as an experimental business model for artists to monetize their untapped potential and brands to connect with a targeted customer base through data-oriented relevant artist fanbase targeting. George is the bassist of Mobvibe and a avid fan of Rock music and Fender Telecasters. When not practicing his bass lines he is busy writing code for web applications. Musician, producer, DJ, promoter, and electronic music enthusiast alike, Nik Liak hails out of Thessaloniki, Greece. When not performing, he spends his time in the studio creating his own music…aided by his beloved dj gear and an upbringing in a very musically-influenced home. Fre3Fly is a self-taught Music Producer from Romania. As a child he was passionate about playing the piano, but life took him on a different course and he studied IT and Economics. But after graduating the university, he realized that Music is still an important part of his life and it's among the only things that really makes him happy. He listens to many styles of music so his productions vary from Chill & Tropical House to Deep House, Tech House and other sub-genres of House Music. His dream is to one day make it in the DJmag Top 100. Music producer and sound engineer with 16,000+ hours of studio, 46 personal records and hundreds of international releases. His love for electronic music grew into a passion for music production, recording, and mixing. "My job taught me to never stop learning, even stuff that I am most sure about. As a matter of fact, the most valuable lessons hide within the things we are most confident with". A passionate writer with diverse interests, an eclectic range of styles and over 5 years of experience writing for the likes of global music festivals, market leading technology companies and national arts and lifestyle outlets. Aron is also a professional music producer and runs his own record label Bare Bones. Over the past 7 years he has had multiple releases that have been supported both in the UK and Internationally (e.g. BBC Radio 1, EDC Las Vegas etc), and has toured across the world as a DJ. Katia Filipović is a radio presenter on Total Rock, a music journalist and a voice over artist.